I was searching for a web based music note editor. I found HTML5 Cloud Composer from Greg Jopa. 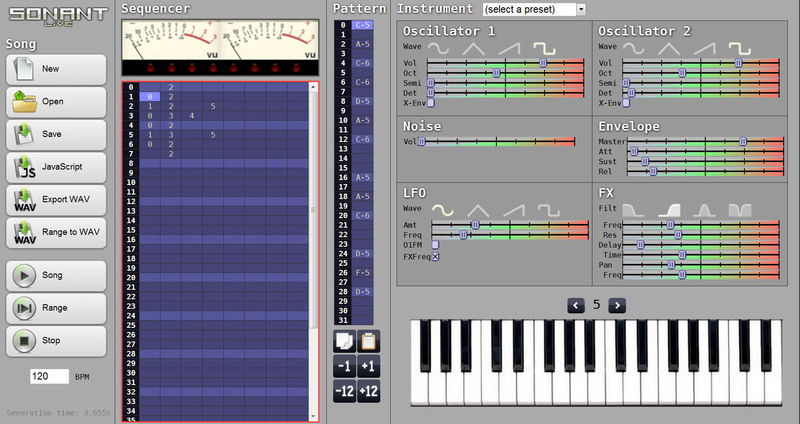 Then I found something more like good old FastTracker: Sonant Live composer. You can use Sonant Live composer to create tracks with music. The princeple of js-sonant is quite simple. You just store music structure into song variable and then you call createAudio. 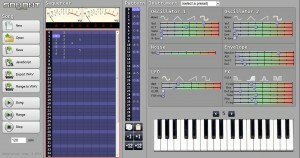 It will produce HTML5 audio object with wav rendered from your song tracks. Note: Your browser must support HTML5 audio in order to play this music. Browsers which have support for HTML5 audio: Google Chrome, Firefox, Opera, Safari.